globally. It has not revealed Australian users, while Snapchat sits at four million. While it was originally slammed for bearing a striking resemblance to Snapchat Stories, Instagram Stories has been quickly gaining interest from brands in the six months since its launch. Instagram has secured Qantas and 29 other international brand partners for the launch of the new ad unit. Airbnb is using Instagram Stories to help build awareness and buzz around its largest product launch to date—Trips on Airbnb. 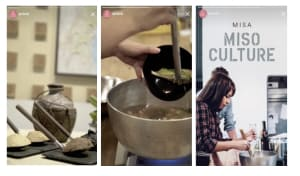 Through a series of 15-second videos from product, Airbnb highlights the ability to access unique experiences by connecting travellers with local experts who share the same interests, from art collectors to avid hikers. Airbnb global head of social marketing and content Eric Toda says: "Immersive storytelling through Instagram Stories engages and invites our community to be part of an adventure. Instagram provides us the perfect tools to build awareness around our recently launched product Airbnb Experiences, handcrafted trips designed and led by our hosts." 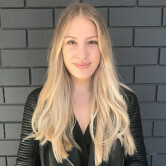 Instagram director of market operations Jim Squires tells AdNews it paired with a wide variety of brands to identify which categories will get the best results using Stories’ ad units. Much like when Instagram introduced paid advertising into its feed in 2014, Squires explains the social media platform will test the frequency capping of ads to see how users respond and avoid any backlash. “We always want to have the right balance between commercial content and organic content and looking thoughtfully at sentiment and exit rates for how people are behaving and based on that, we will gauge and pursue the right balance,” he says. Squires expect brands to use Stories as a natural extension of the content they push out across their feeds and the previous ad units available. Instagram sees the ad-hoc, instant native of Stories as complimentary to the in-feed posts, but it will evolve. “It is very early days but what we’ve seen is brands are using Stories in similar ways to how people are using Stories – to share the more spontaneous moments in between the highlights they share on the feed,” he says. While the ad units available on Stories launch with the primary objective of gaining reach for brands, eventually it will deliver "full funnel" solutions for advertisers, as Instagram has with its feed, including the ability for direct response, such as apps install and shoppable links. Because there is already familiarity with the kind of ads, with Snapchat released native video format within its Stories feature last year, Instagram may be spared some of the user backlash. But there might be complaints, as with all previous roll outs of commercial features on social platforms. However, Squires believes the resistance isn't to the ads themselves, merely to change. "I spent a lot of time determining having used commercial content in my Facebook and Instagram feeds and in my experience, any type of change is what people don't like. If it's a good change, ultimately people will get used to it and if it's a bad change people will stop using the product," he says. "That's why we monitor it so closely because we don't have a long term business if people don't get excited about using our products." Social media companies have been losing advertiser trust in droves, with Facebook and Twitter both admitting to misreporting metrics and now Snapchat being called into question for over reporting figures. Off the back of Facebook revealing a slew of mistakes and “misallocations” of numbers within its metrics, it has been on a mission to improve the discrepancies. With the latest ad unit from Stories being open to brands, Squires doesn’t expect any hesitance from advertisers to get on board. He tells AdNews that Facebook and Instagram use a shared infrastructure, and therefore all updates made to Facebook over the past few months have been made to Instagram. Instagram is rolling out a new native video ad product within its recently launched feature, Stories, offering brands the capability to run full screen ads for the first time. The new option will allow brands to place video within the context of other Stories on the platform. The video ads can run for 15 seconds, and there are sponsored photos that last for 5 seconds, but they are instantly skippable, too. It is also launching “organic insights” for brands and businesses using Instagram Stories, providing data on how the content is consumed, including impressions, reach and exit rates. Instagram Stories launched in August last year, growing its global users to 150 million daily, equal to rival Snapchat's user base globally. It has not revealed Australian users, while Snapchat sits at four million.